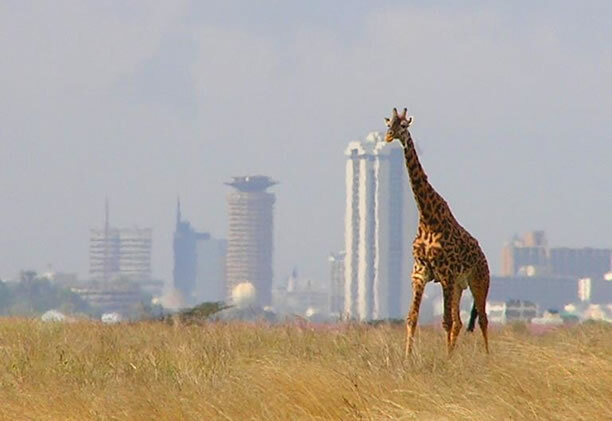 Arrive at Nairobi International Airport & transfer to Nairobi National Park. 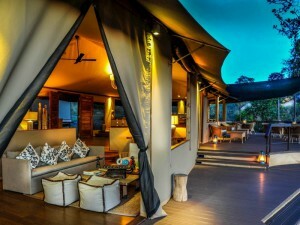 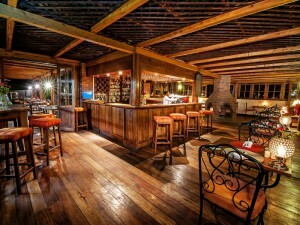 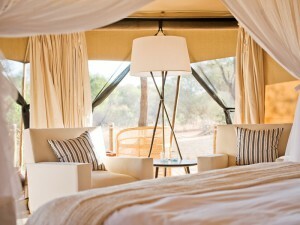 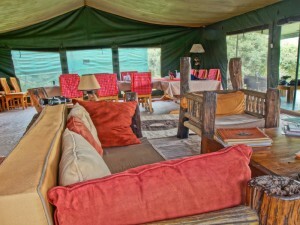 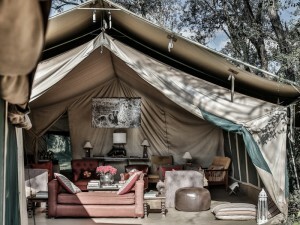 Check in for 1 night at Nairobi Tented Camp on a full board basis. 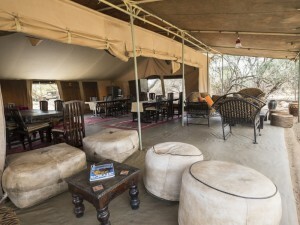 This safari starts not with a city hotel but a tented camp tucked away in a national park complete with big game and the sounds of the wild. 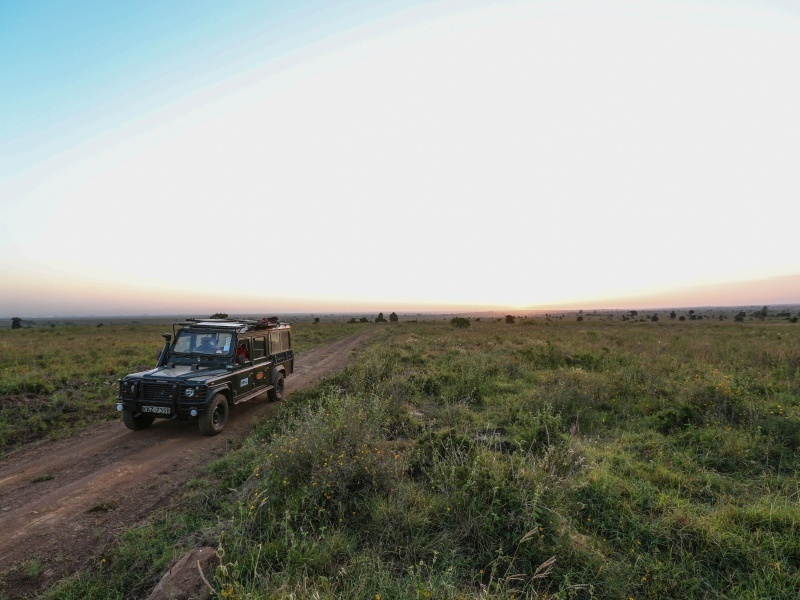 Just 30 minutes from the airport, Nairobi Tented Camp will start your safari in comfort and there’s even time for an afternoon game drive too – a great chance to see black rhino, one of the most endangered animals in Africa. 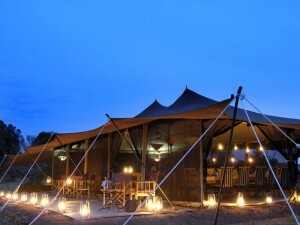 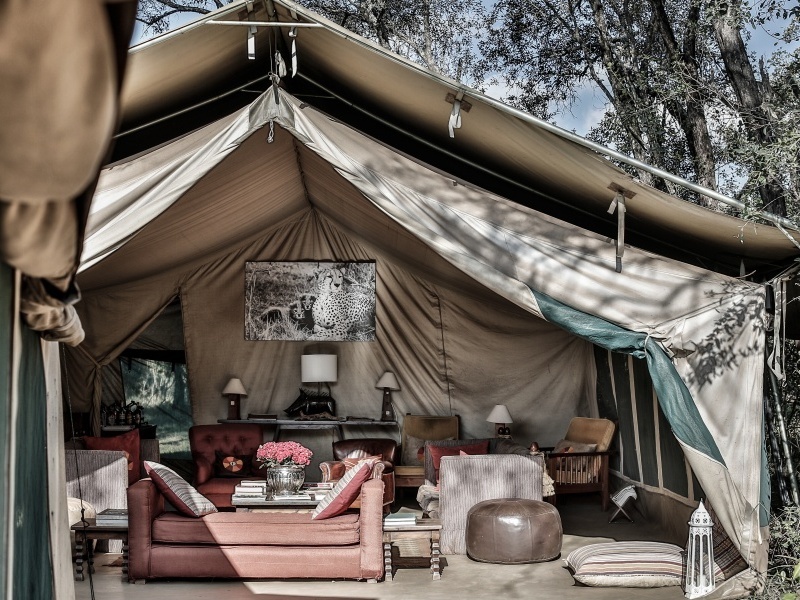 Your first night is spent around a crackling camp fire in true safari style. 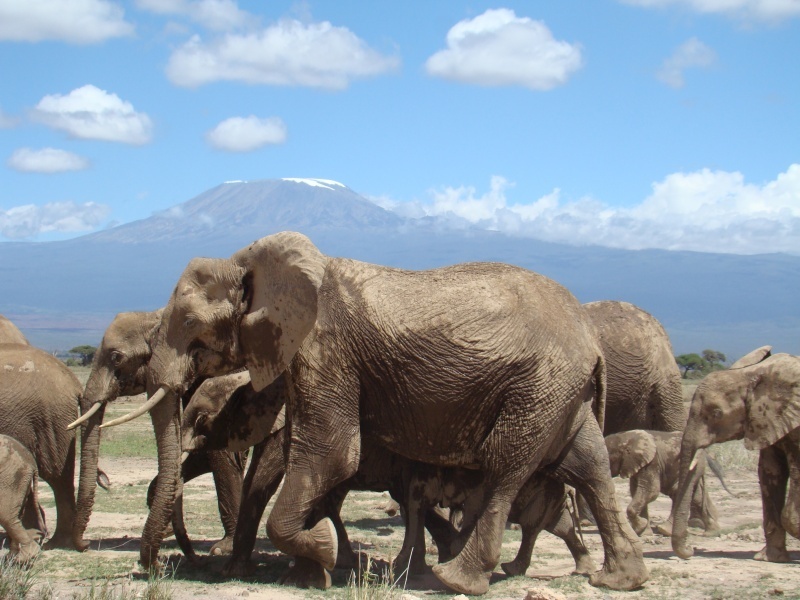 Transfer by minibus from Nairobi to the Amboseli National Park. 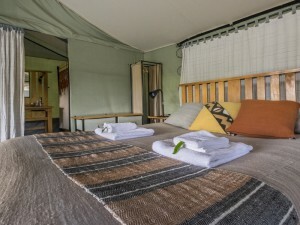 Check in at Porini Amboseli Camp for 2 nights on a full board basis. Arriving at Porini Amboseli Camp before lunch gives you time to settle in and take stock of your new surroundings. 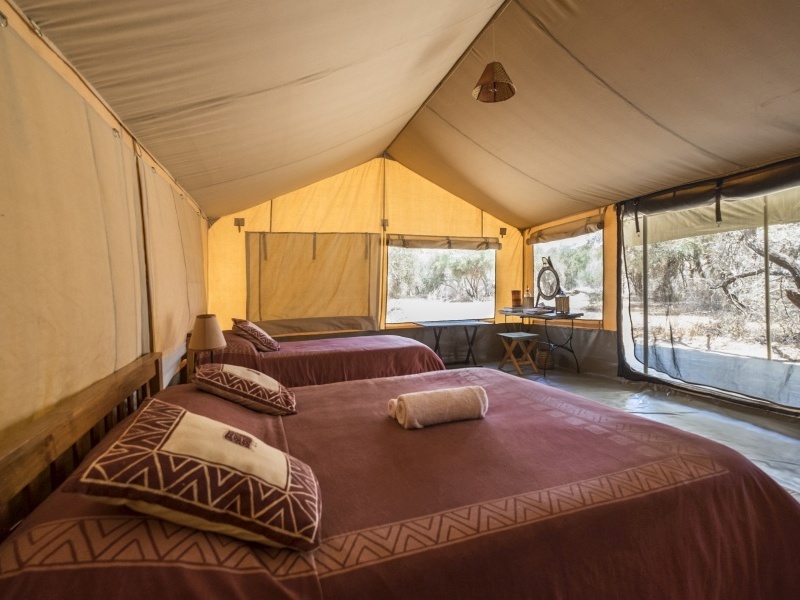 It’s an ideally located camp, sitting in its own private conservancy and with a discreet entrance to the Amboseli National Park. 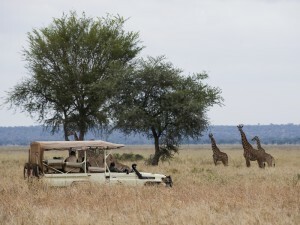 Game drives are the main focus here but you’ll also go on spot-lit night drives in search of nocturnal life. 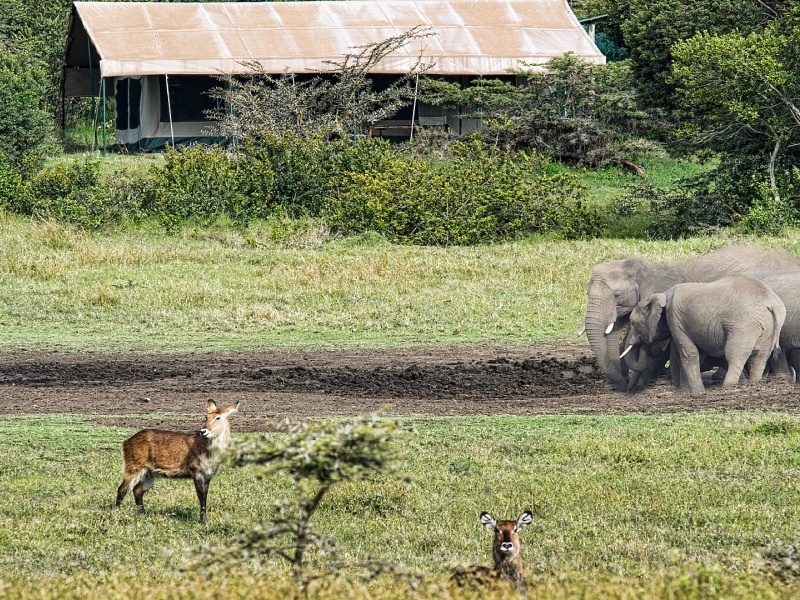 It’s a park with good year-round wildlife, but the most sought-after sighting is a herd of Amboseli elephants, framed by Mount Kilimanjaro itself. 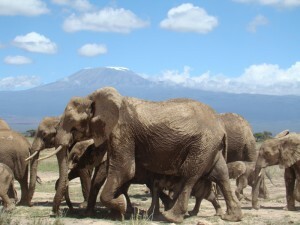 Fly to Mt Kenya via Nairobi. Transfer overland to Porini Rhino Camp in the Ol Pejeta Conservancy for 2 nights on a full board basis. 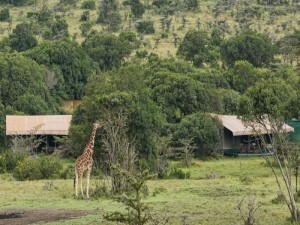 Rhino Camp sits in the private Ol Pejeta Conservancy, a research-based body that has earned itself a stellar reputation for conserving the area’s wildlife. 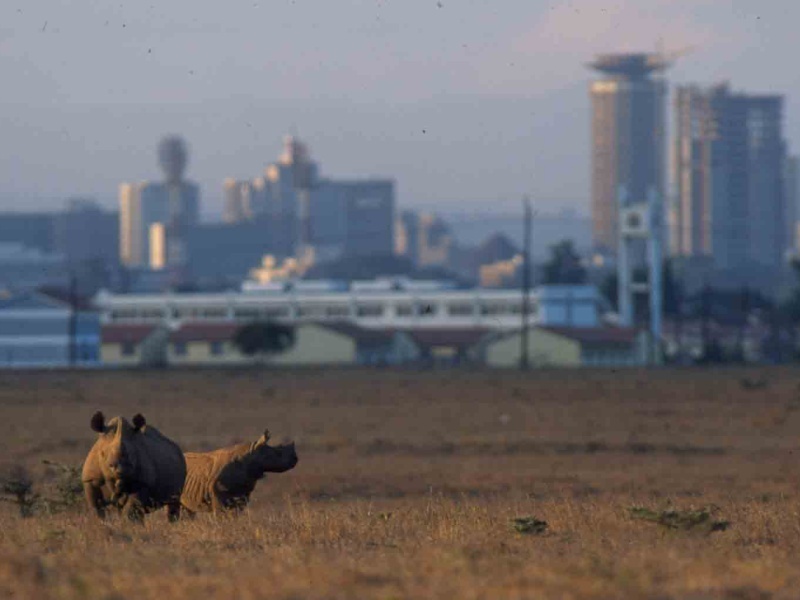 The conservancy is home to the Big 5: lion, leopard, elephant, buffalo and rhino – indeed, it is the best place in Kenya to see rhino. 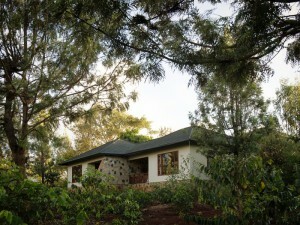 There’s a chimpanzee sanctuary to visit and guided nature walks to go on. With only six tents, the camp is a small and intimate one; you’ll have your own bathroom and veranda with sweeping views. Fly to the Masai Mara & the Ol Kinyei Conservancy for 2 nights at Porini Lion Camp on a full board basis. 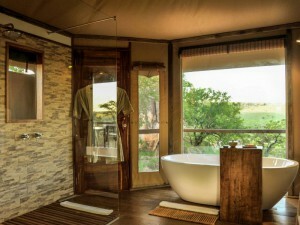 Most famous for the thundering wildebeest migration, the Masai Mara is nevertheless an ideal all-year round destination. 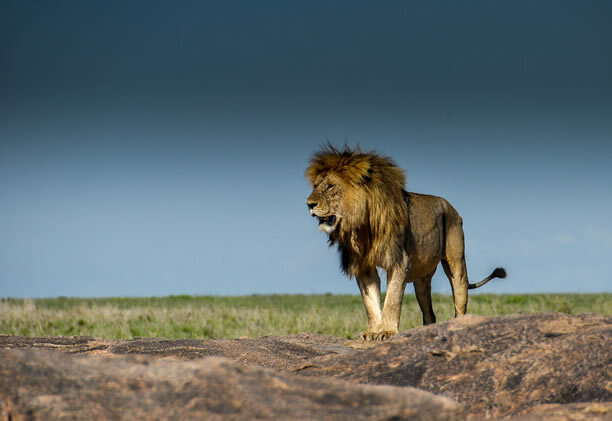 The scale of its wildlife, regardless of season, is evident once you settle in at Porini Lion Camp and explore the area on game drives. Set next to a river, you’ll be at the heart of the drama in a game-rich region with a name for predators. 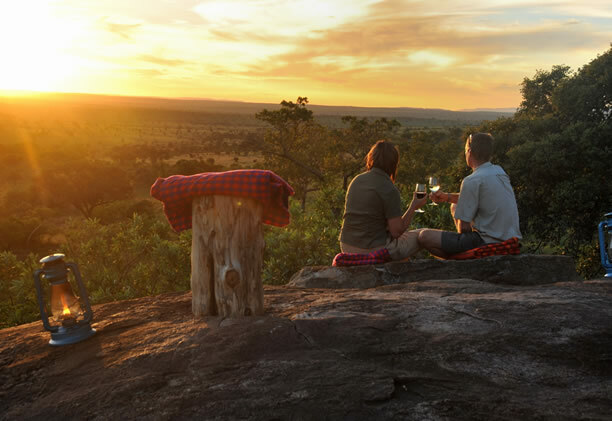 There’s a chance to go on a hot-air balloon flight and you’ll visit local Maasai villages for a taste of life on the savannah. 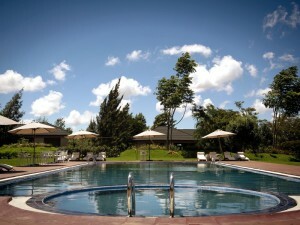 Fly to Arusha Airport in Tanzania & transfer to Arusha Coffee Lodge for 1 night on a full board basis. 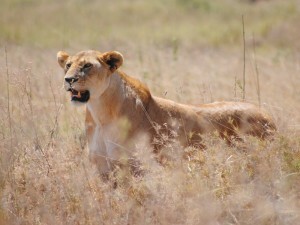 It’s a day of travel today, moving across the border to Tanzania. 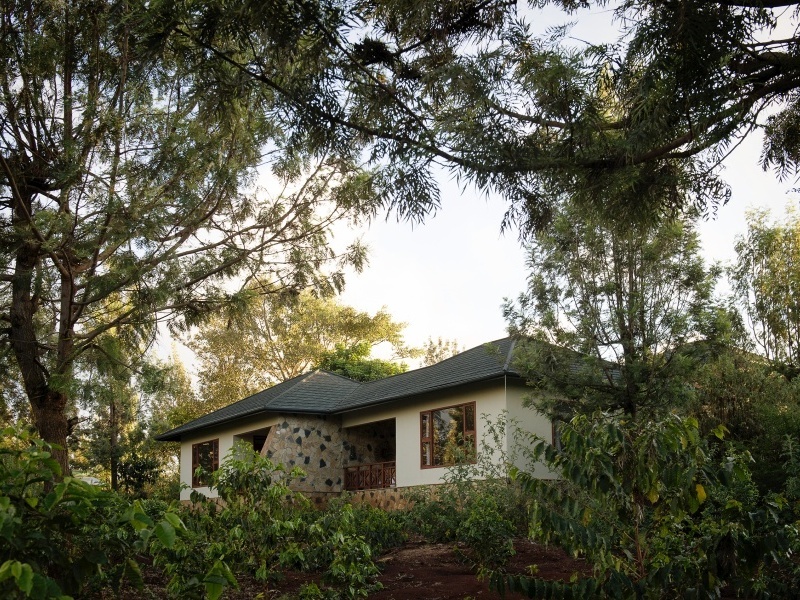 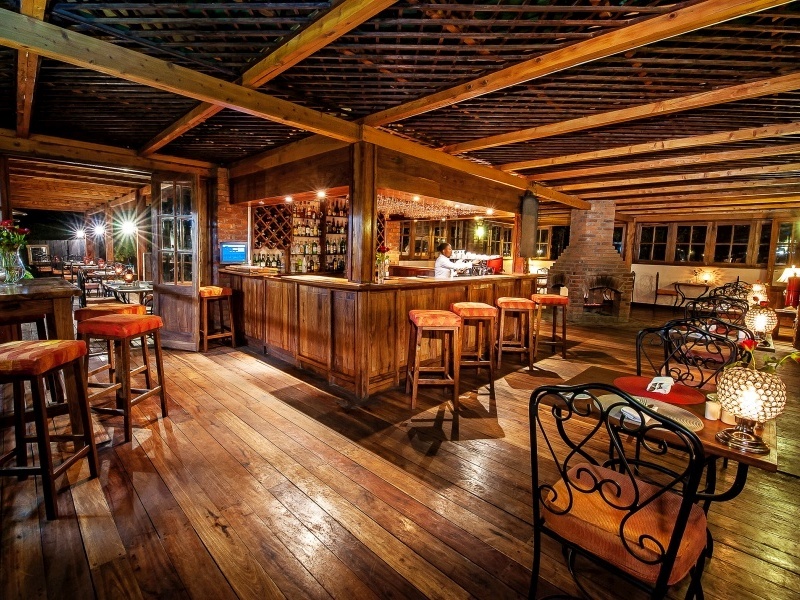 A night at the comfortable Arusha Coffee Lodge means there’s no rush and you can relax later that afternoon with views over Mount Meru and the freshest cup of coffee imaginable – this is after all a working coffee farm. 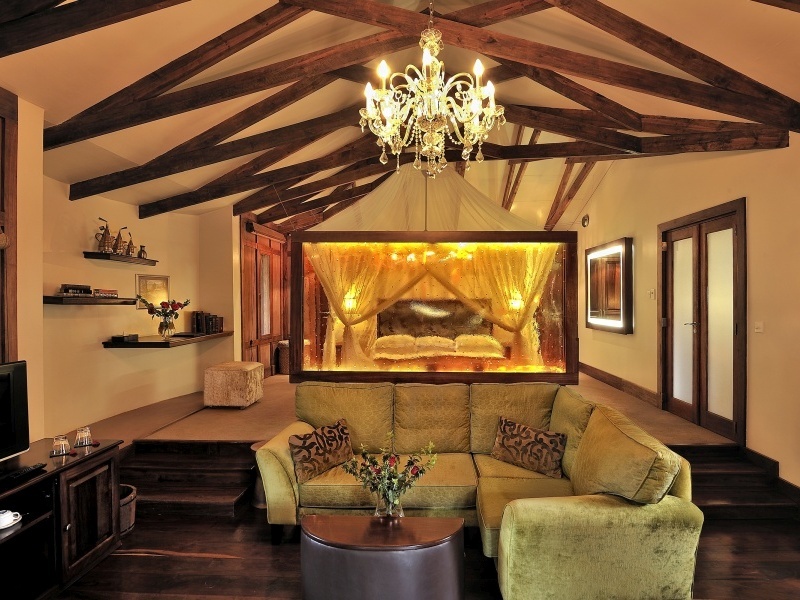 You’ll enjoy a peaceful, night in your luxurious cottage, complete with bathroom, veranda, lounge and fireplace. 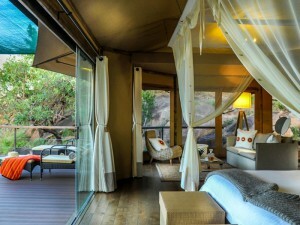 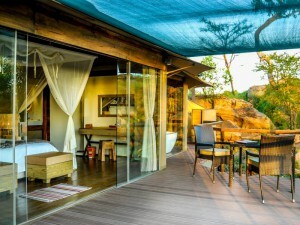 Travel to Tarangire National Park & check in at Swala for 2 nights on a full board basis. 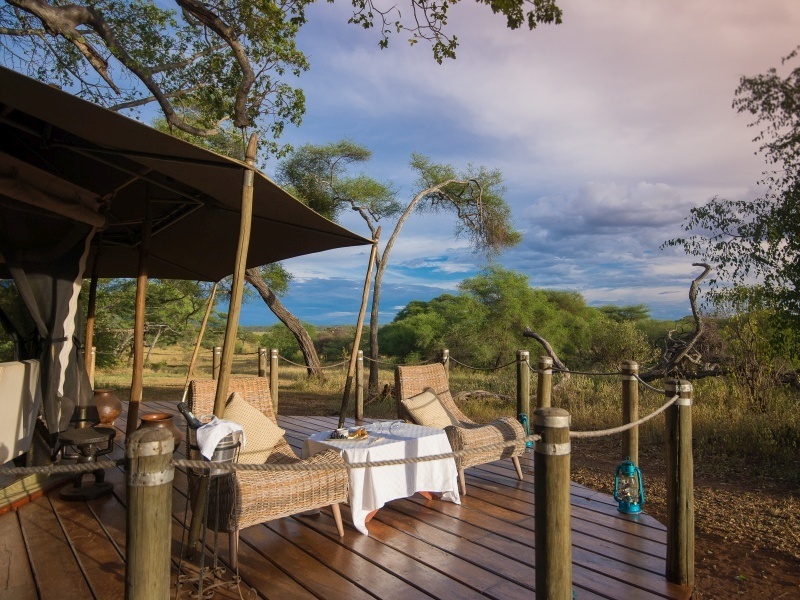 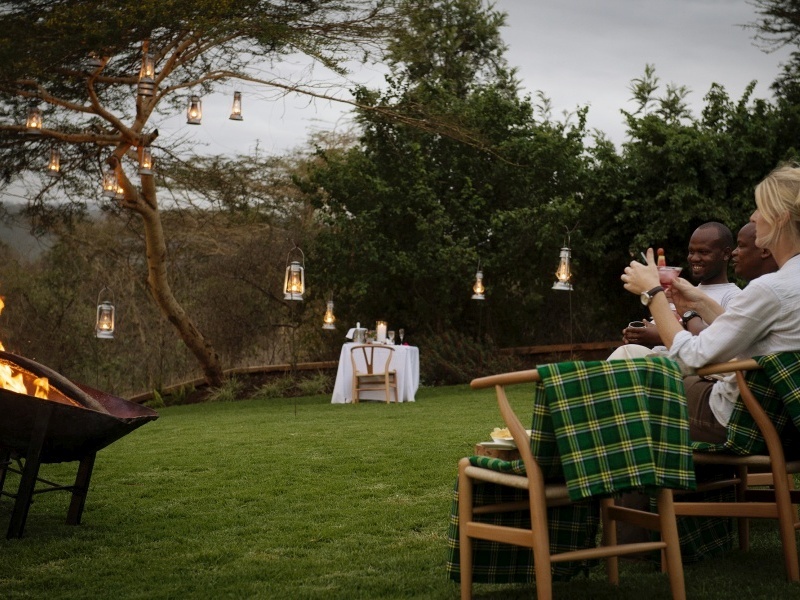 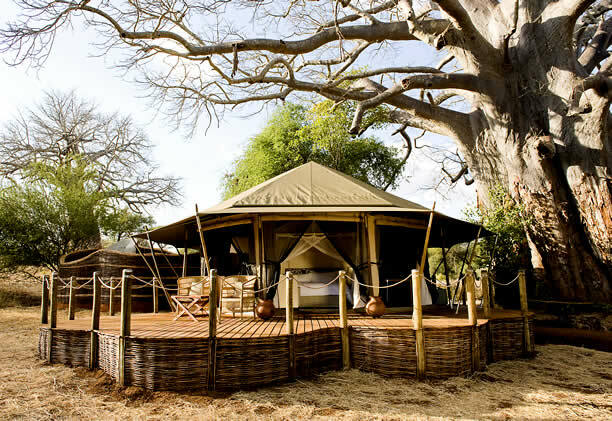 Set under sprawling acacia trees, Swala is a small and romantic camp with each of its nine tented suites attended to by a butler. 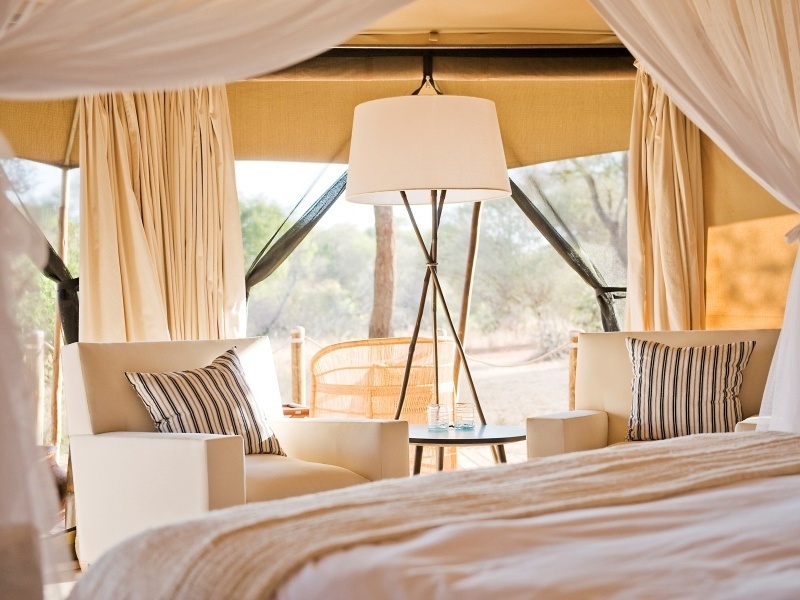 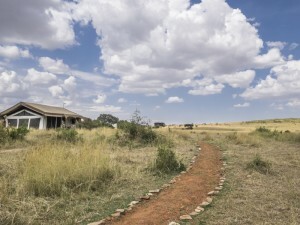 Tucked away in a quiet corner of this reserve, the camp offers crowd-free game drives and walking safaris along with night drives and village visits. 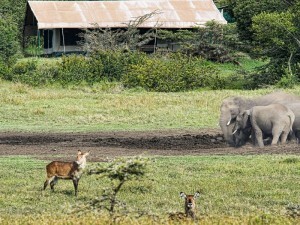 Tarangire is best experienced in the long dry season when great numbers of animals are gathered at the eponymous Tarangire River, attracting predators. 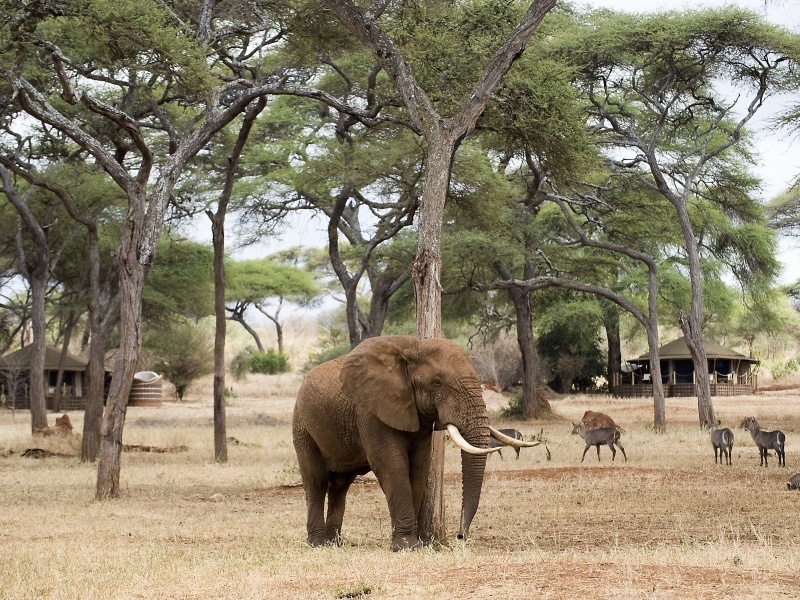 Enormous squat baobab trees and some of East Africa’s biggest elephant herds give Tarangire a super-sized appearance. 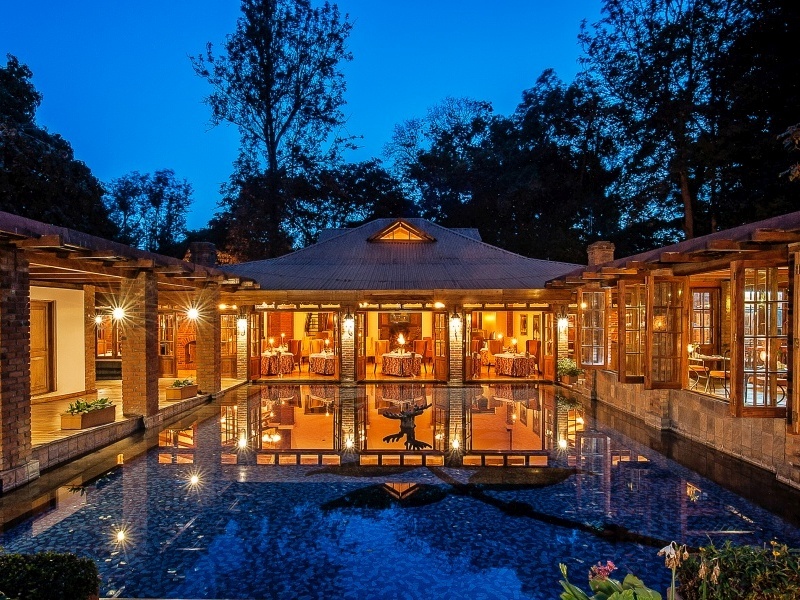 Travel to the town of Karatu & Acacia Farm Lodge, overlooking the Ngorongoro plains. Check in for 2 nights on a full board basis. 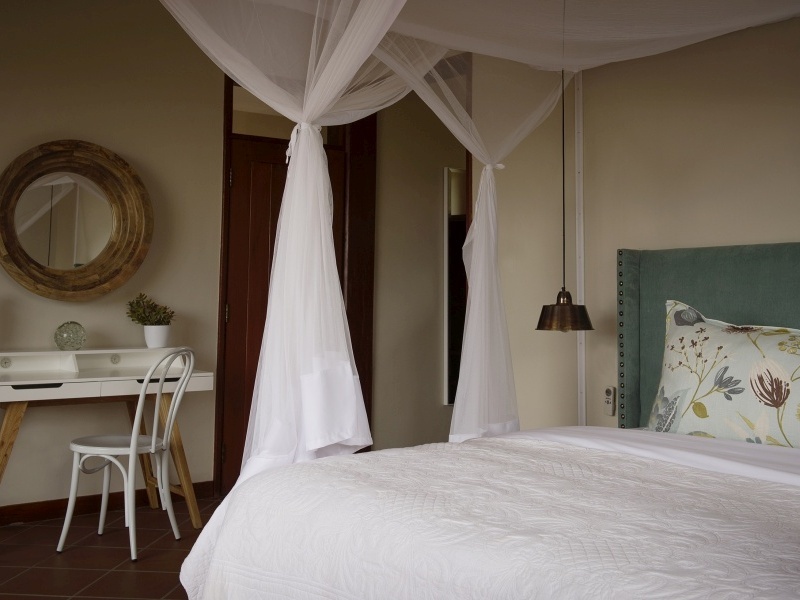 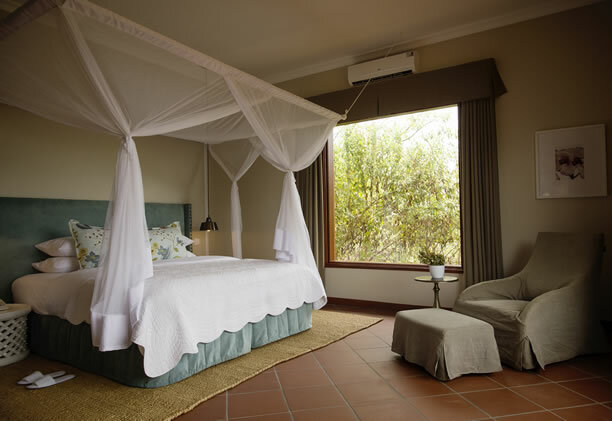 A boutique lodge experience awaits the traveller: Acacia Farm Lodge offers a serene and luxurious retreat, surrounded by lovely gardens and set on a working coffee farm. 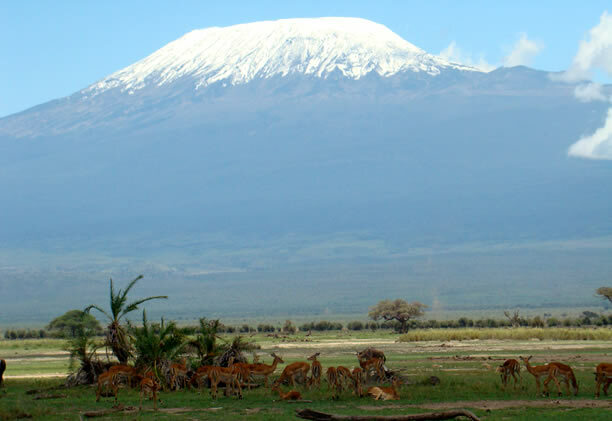 It’s your base from which to set out and explore the nearby Ngorongoro Crater the following day. 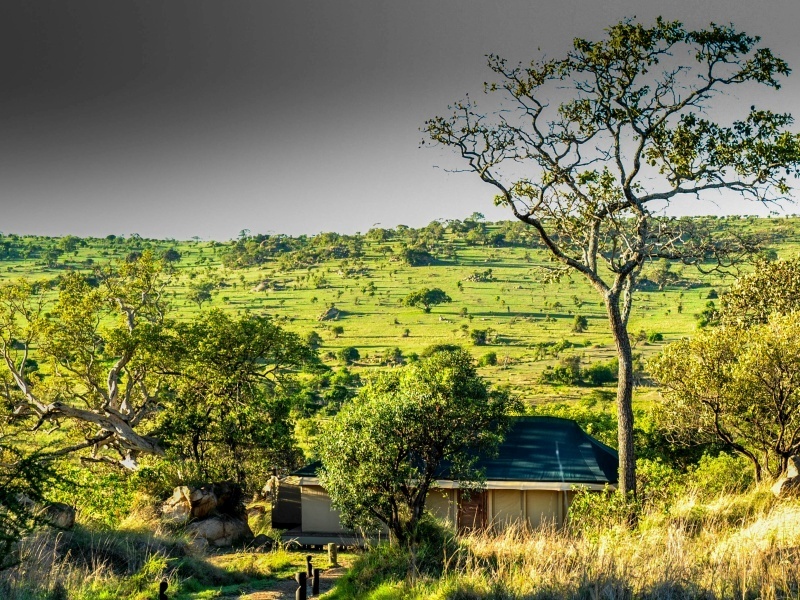 Home to perhaps the densest concentration of big animals in Africa, the steep-sided crater is Big 5 country and you’ll also be on the lookout for hippos, hyenas and flocks of flamingos. 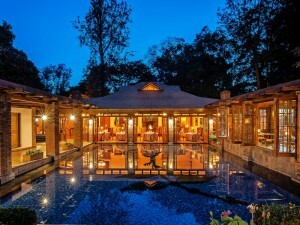 A hearty picnic lunch is served under a shady tree; back at the lodge, sophisticated cuisine is served by candlelight. 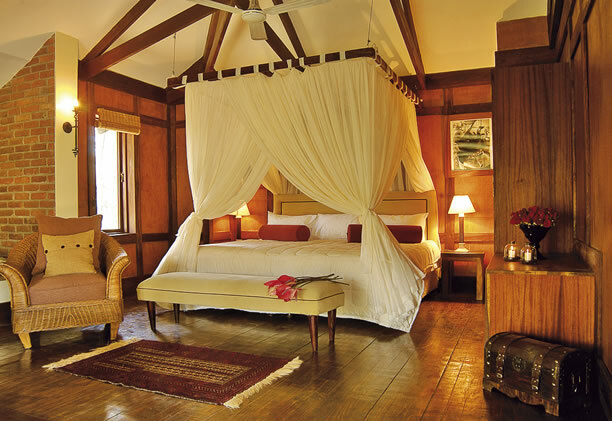 Travel to the northern Serengeti & check in at Kuria Hills, your accommodation for 2 nights on a full board basis. Set next to the Mara River gives Kuria Hills grandstand seats for the June and July river crossings, the most dramatic chapter of the annual wildebeest migration. 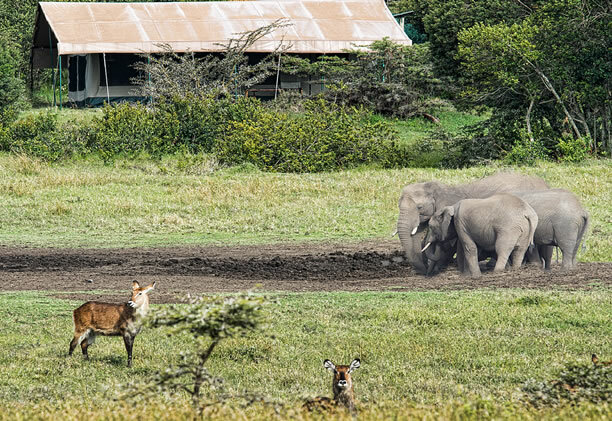 The herds are forced to cross the crocodile-infested river to reach the Masai Mara; your expert guide takes you into the heart of the action. 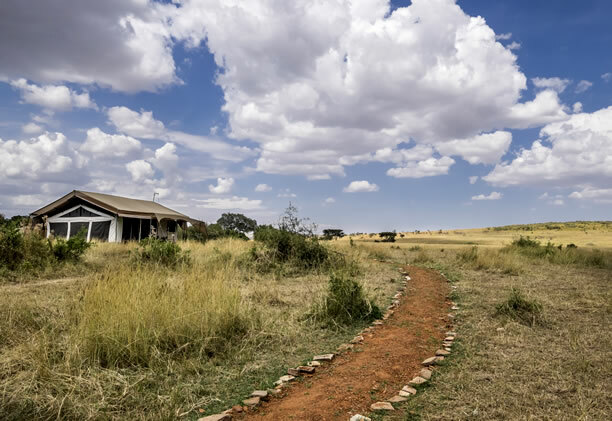 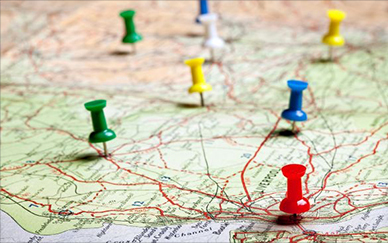 But this region is rich in wildlife all year round and with a camp famous for its beautiful interior design and fantastic service, part of the experience is treating yourself to fine food and wine and retiring to the spa for massages and beauty treatments. 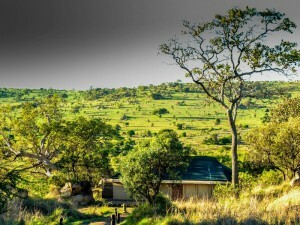 Travel to Arusha International Airport for your onward connection. After breakfast it’s time to say goodbye to the Serengeti & travel to Arusha International Airport for the end of the tour. 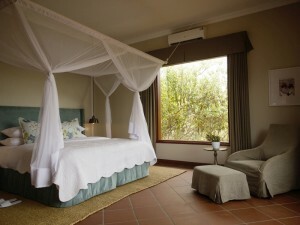 If you’d like to add a few days on at an Indian Ocean beach resort, simply ask us and we’ll arrange it.